There. An odd way to come out of the 2013 gate, I admit, but the truth will set you free, right? Intent to harm doesn’t factor into this crime. In fact, until now, I wasn’t even aware of my wrongdoing. 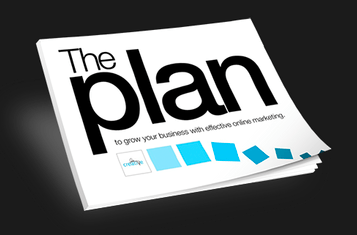 My admission now: I’ve been talking some of my clients into doing content marketing. I can’t stop myself. I believe in content marketing. It works. But to do it well, creatively, most importantly, effectively, you have to believe in it too. It’s not a tough sell. Again, I’m a kind of an innocent guilty party. You see, I don’t beg my clients to get into it. I don’t insist and I don’t make them. I suggest it. Now here’s where I beg for leniency. Oh now there I go again. I can’t stop spouting the gospel. Content marketing is where marketing is at right now. So, yeah, content marketing is en fuego. And? And so what? And so… nothing. 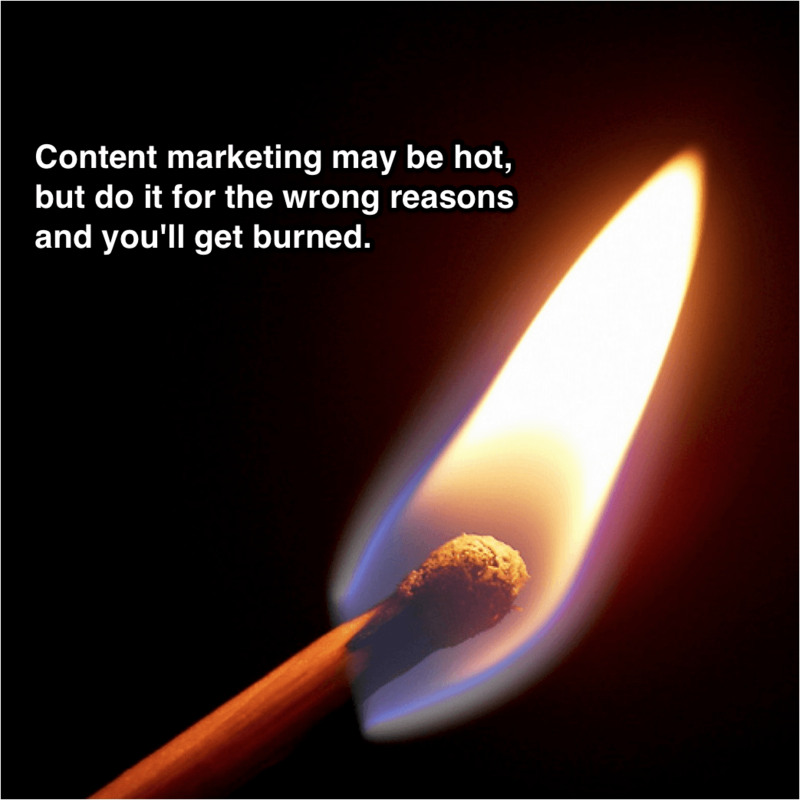 Don’t do content marketing because it’s hot. Don’t do it because that’s where media is going. Don’t do it because your competitors are doing it, your friends are doing it, your mom’s doing it, or the crowd’s doing it. You don’t have to buy media. Okay, this too is true. Plus, it’s incredibly intoxicating to startups, smaller companies, or any company attempting to rein in the spending. Though there are certainly exceptions, most companies are seeing their return on investment in advertising, direct mail, and the gamut of “outbound” marketing decline. There’s a learning curve. And guess what? It’s unending. So though you may master the tools in reasonably short order, you’ll never be able to stop investing in learning. Translate: content marketing requires expertise. Expertise takes time. Time is money. The discipline isn’t as free as it may seem. You want to join the conversation. Yes sir, a brand is essentially the sum of what people say about it. We’re connected and social now. And that’s not all. We’re hypercritical, hyperactive and so hyper-online, we’re barely offline when we sleep. Scheduling our content to publish while we’re snoring is easy. There are apps for that. So once again, this bad reason I’m trying so hard to get to comes with a major league disclaimer because it’s a good reason too. If you’re not a part of the conversation, you are indeed going to miss out on some opportunities.